Felony vs Misdemeanor – Is a DUI a Felony? The Alabama Legislature writes DUI laws in Alabama, including statutes outlining when a drunk driving felony can be accused. These “laws” are more commonly called “statutes.” Then, when disputes arise about how the statutes apply to a particular case, the Judicial system gets to determine the meaning of those Alabama statutes pertaining to DUI laws in AL. 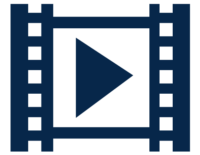 Unless the Legislature later acts to change the law, after a Court ruling, this new appellate court interpretation will alter the DUI defense strategies of your Alabama DUI lawyer. In general terms, a felony is a crime with state prison time of over one year. Being arrested for a DUI in Alabama, however, is seldom charged as a felony, since few repeat offenders ever reach the number of repeat offenses needed to cause a felony DUI in AL. 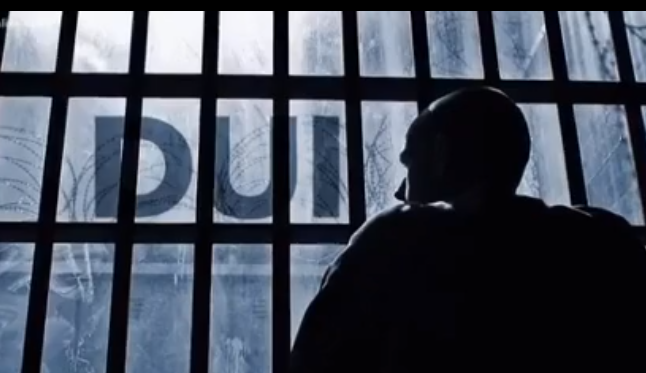 Some Alabama DUI felony laws call for a minimum prison sentence or county jail time of 1 year and 1 day or longer. 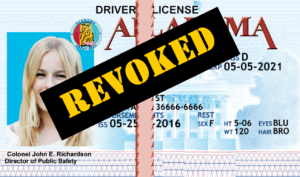 Like all other states, the Alabama Legislature wrote its Alabama DUI laws to criminally punish violators who get repeat drunk driving cases over a fixed period of time, as well as take away their driver’s license. When it comes to DUI-DWI laws in ALL states, certain common “aggravating” factors tend to increase the likelihood of felony vs misdemeanor DUI. Whether the driving under the influence offense will be a misdemeanor or a felony, is typically based on the number of prior DUI (drunk driving) convictions, serious bodily injuries or death, by virtue of drunk driving or drugged driving. So, fatalities or serious injury caused by drunken driving or drugged driving can be a felony DUI in Alabama. When Is an Alabama DUI a Felony? Under Alabama DUI laws, the DUI first offense (not involving a DUI accident resulting in serious injury or death or possibly for having a DUI with child in car) is a misdemeanor. The same general rule applied in all other states. So, on a national level, the first offense DUI is a misdemeanor, unless another person has died in a DUI-related accident for the 1st DUI offense Alabama driver, or another person been seriously injured by your vehicle that is attributable to your DUI in Alabama. 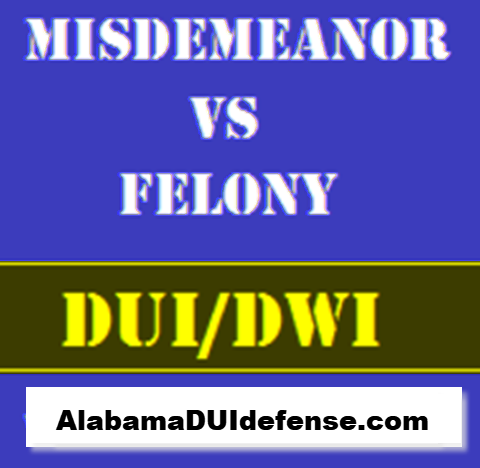 The Alabama DUI first offense conviction in a person’s lifetime is a misdemeanor, under Alabama DUI laws. Substance Abuse – Complete State-Certified Chemical Dependency Program License Suspension/Ignition Interlock– 5 Years revocation and 5 years of Ignition Interlock. After a minimum period of 1 year of revocation, and Ignition Interlock (IID) may be installed for 5 years to commute the balance of the revocation. An IID checks your breath, which yields an indirect “reading” of your blood alcohol content through an electronic attachment that is wired to your ignition switch. The 4th DUI, or subsequent Alabama DUI convictions (within 5 years), is a DUI-DWI (driving under the influence) conviction that is a Class C felony DUI. A person convicted of DUI felony in Alabama will be sentenced to no less than one year and one day in state prison and no more than 10 years of imprisonment at an Alabama state prison. This wide variance in jail time gives a Judge the power to make a scofflaw pay, with prison time. Reducing a long prison sentence is one beneficial area for a DUI attorney Birmingham AL to assist you, which usually only comes from having a known reputation for fighting DUIs, and having top credentials. Such things can make a difference in what your criminal record shows, and this can mean the difference between getting hired for some jobs later. DUI: Is it a felony? The citizen facing an Alabama DUI 4th offense (including a DUI or DWI from other states) will be fined between $4,100 and $10,100 Dollars. Plus, driving is no longer available for quite a while. 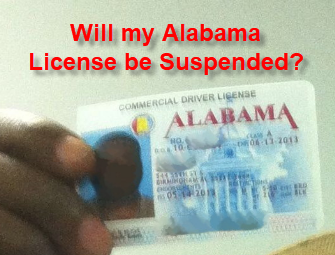 The 4th offense DUI within 5 years faces having his or her Alabama driver’s license suspended for five (5) years. Upon conviction, the accused DUI Alabama offender will also be required to attend a court-approved substance abuse treatment program. Other DUI penalties in Alabama on a felony case include (when eligible for reinstatement after getting out of state prison) the mandatory installation of an ignition interlock device. This is an electronic breath alcohol test machine that is wired in and attached to the steering column and ignition wiring of your car. This breathalyzer device tracks and records all attempts (by anyone) to crank the interlock restricted car or truck. Digital technology prevents a vehicle from being started or driven when any measurable amount of alcohol is detected in the driver’s breath. 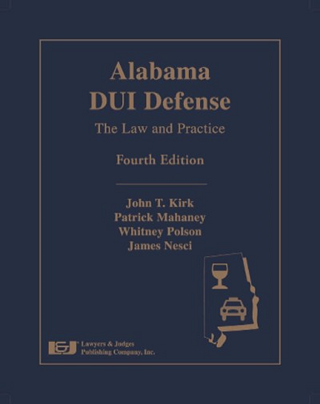 As mentioned above, Birmingham DUI attorney Whitney Polson co-authored the 2016 book, Alabama DUI Defense, to help guide other attorneys and judges on the nuances of Alabama DUI laws. 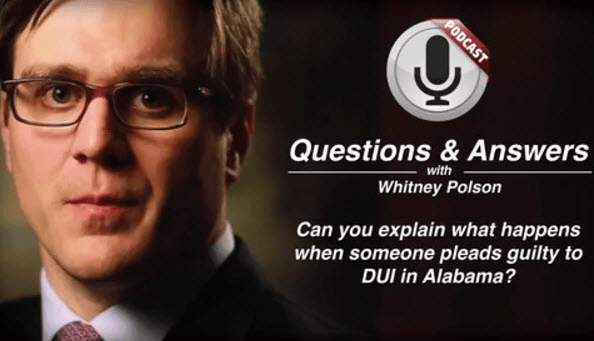 As a leader in the Alabama DUI attorney community, this is Whitney’s way to give back to other Alabama lawyers, and share his knowledge of Alabama DUI law and Alabama DUI penalties. The Polson Law Firm finds that their clients are comforted by the fact that their DUI lawyer “wrote the book” on DUI law in Alabama. Drunk driving defense has been a cornerstone of the Polson Law Firm’s Birmingham DUI attorney practice for almost half a century. When it comes to citizens facing criminal charges for DUI in Alabama charges, the central issue for both Alabama DUI defense attorneys is how to beat a DUI for this particular client on their Alabama DUI. This 2016 drunk driving book, co-authored by Birmingham DUI attorney Whitney Polson, reveals little-known DUI defense strategies that have helped Mark Polson, DUI Lawyer Birmingham AL, and Whitney Polson, Birmingham DUI lawyer, carve out a reputation for expertise in DUI defense. They cover all types of other Alabama criminal law offenses, from murder to speeding, but DWI-DUI is their main source of criminal defense practice. It is possible to face a DUI murder indictment in Alabama, but this causing of death while drunk does not carry the death penalty. Alabama is one of fewer than 6 states to carry such laws relating to drunk driving. 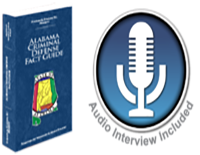 The drunk driving book, written in 2016 for DUI defense lawyers, lists over 900 important cases on Alabama DUI law that are already known to DUI specialists like the Polsons. The gist of this book is to explain Alabama DUI law and how the information contained here can be a roadmap for how to beat a DUI in Court. This is the reason that Birmingham DUI attorney and Alabama DUI law book co-author Whitney Polson and his father, Mark Polson, an expert of Alabama DUI laws for 56 years, fight so hard to prevent even a first offense DUI from being on your Alabama driver’s license. By never having a DUI Alabama at all, this is the best possible outcome. The father and son team of Birmingham DUI lawyers are ready to act quickly to save your driver’s license, and look for answers on how to get out of a DUI in Alabama. Why not hire experienced criminal defense attorneys for your Alabama DUI case? Mark Polson and his DUI book author son, Whitney Polson, are prepared to help you find the absolute BEST solution for your DUI in AL. Arrested for an Alabama DUI? Need to hire a Birmingham criminal defense attorney? 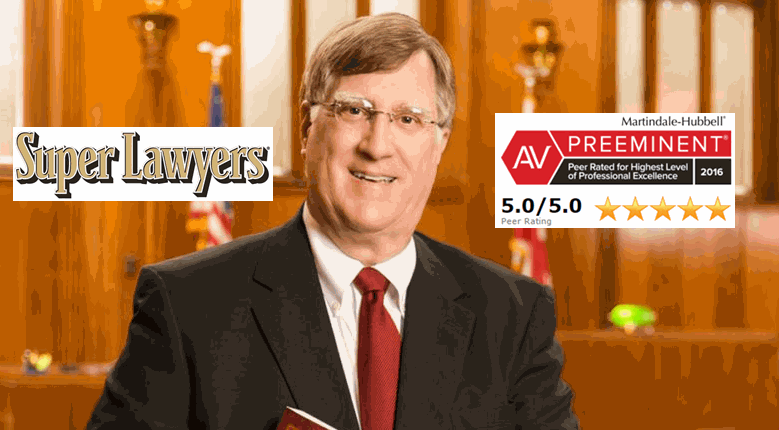 Call our criminal lawyers to find your Alabama DUI Lawyer. Call our DUI law firm now for immediate help, at (205) 871-8838. ON WEEKENDS or AFTER BUSINESS HOURS, use our 24-hour DUI Attorneys number at (205) 222-4544. 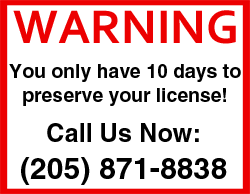 Ask us about helping file your Alabama DPS appeal within 10 days after arrest. 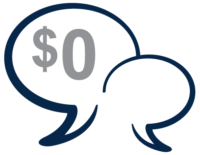 Our FREE lawyer consultation and professional criminal case assessment is worth your time and energy. If winning your DUI Alabama case is your objective, call our Alabama DUI law firm today. To speak with a Birmingham DUI attorney, who is a DUI specialist on DUI laws in Alabama, don’t wait another minute. We will speak to you NOW, even on holidays and weekends. 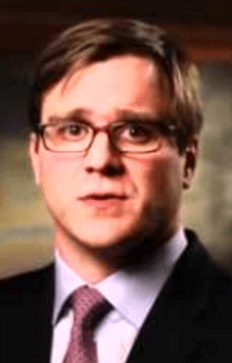 Whitney Polson or Mark Polson will review your DUI case facts, tell you more about your DUI court, and tell you the likelihood of getting your DUI reduced to reckless driving, as well as the chance of having the DUI dismissed for a first offense DUI. We Can Come to You. We Fight DUI Charges Anywhere in Alabama.